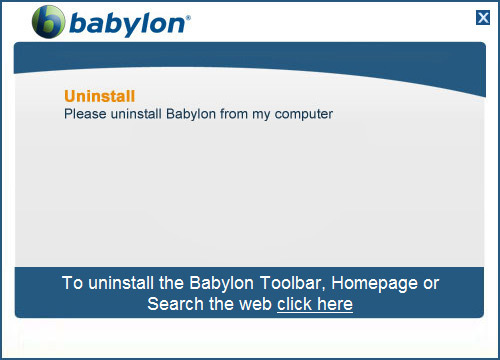 If you would like to uninstall the Babylon client, the first thing you will need to do is make sure that the program is not running. Once you have exited out of Babylon, click on the Start Menu, the windows icon usually located on the bottom of the page. Click once on Control Panel, which is located on the right hand side of the Start Menu. 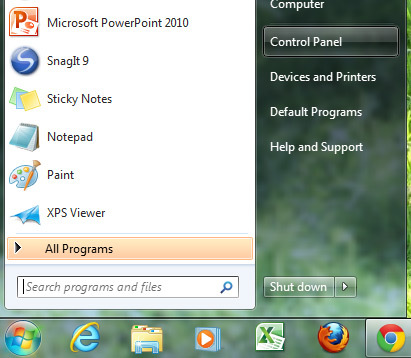 From the Control Panel under Programs select Uninstall a Program (in Windows XP this is called Add or Remove programs). Locate Babylon in the list of installed applications. Click once on the name of the program and then click on Remove or Uninstall. This will start the Uninstall Wizard. When the uninstall wizard is finished, restart your computer to complete the process. To remove Babylon from Mac simply drag the Babylon icon from your desktop, and from the application folder, to the trash.